Time for a big day in the GC battle. Fast and flat, this is one for the specialists. 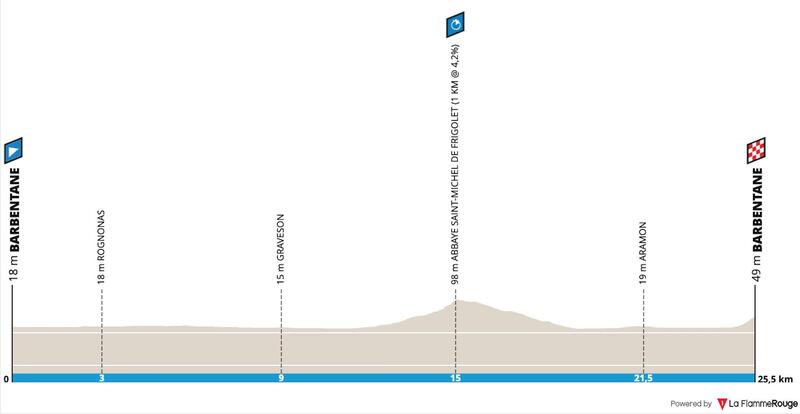 We do have a climb in the middle of the stage, but it’s only 2.6km at 3.1% and the final 600m rises at 4.5%. The rest of the stage is all about power, something the climbers don’t really want to hear. Should be sunny and the roads will be dry. The wind will be coming from the west and will strengthen throughout the day, but the impact of this will be less than normal. Most of the route is very well protected from the elements, with the riders on a narrow piece of farm road which has trees on either side. If anything, I think it could suit the later starters as they’ll benefit from a tailwind for the opening 4km and final 3km. Michal Kwiatkowski – the Pole has a firm grip on this race, but he’ll want more time before they head into the mountains. This is perfect for him to put the climbers to the sword and take a commanding lead into the rest of the race. We’ve all seen the form he currently has and the rest of the field must be sacred of the time he’ll post. Starting last, he also has a chance of the best weather conditions. He starts as the big favourite. Bob Jungels – another rider in terrific form. Jungels was also expected to be one of the best TT riders in the world, but that hasn’t quite happened yet. Outside of his national championships, he only has one TT win to his name and that was in Bessèges way back in 2015. In this race, he’s up against a lot of climbers, something which he’ll enjoy. It would take a big ride to beat Kwiatkowski, but Jungels is the most likely to challenge him. Dylan Teuns – solid on the TT bike. He would have preferred a tougher route, but still has a chance of making the top 5. Ion Izagirre – it’s not been his week. Smashed by the crosswinds and he’s also crashed, but he did look better today. He has no chance of winning the GC, which means he can afford to go deep in this stage. He’ll be expecting to finish in the top 3 and hoping to challenge for the win. Felix Großschartner – the Austrian is one of those riders who makes steady improvement every season. Last year, he finished 4th in the Paris-Nice ITT, one of his best ever results. He’s sitting in a good position in the GC battle and he knows a good time will give him a little moving ground over the climbers. It’s unlikely he’ll win, but he’ll hope to be challenging for the top 5. Wilco Kelderman – the time is now! I mentioned in the GC preview that Kelderman simply doesn’t win enough races. Now that he has survived the opening stages, his team must be demanding a big TT performance. He simply cannot afford to lose time to Kwiatkowski and Jungels. 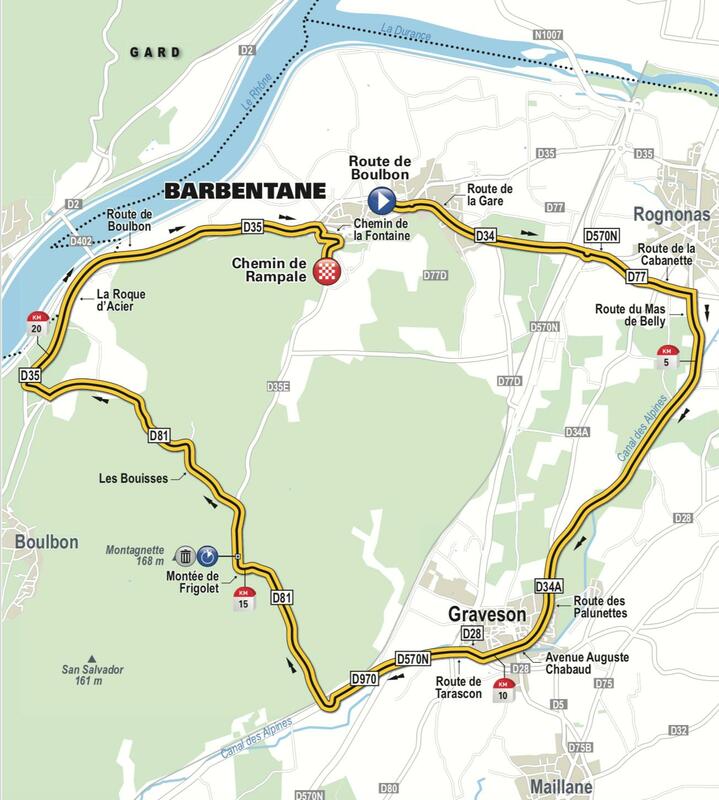 Tejay Van Garderen – the American should like this route. He lost time in the crosswinds, but he’s perfectly suited to this TT. His recent move to EF Drapac was an interesting one and he’ll have enjoyed the fact the they now have a decent TT bike. Moving away from a BMC is always tough, but I expect Van Garderen to surprise and take a good result. Edvald Boasson Hagen – probably just a bit long for big Eddy. Michal Kwiatkowski will continue to dominate.